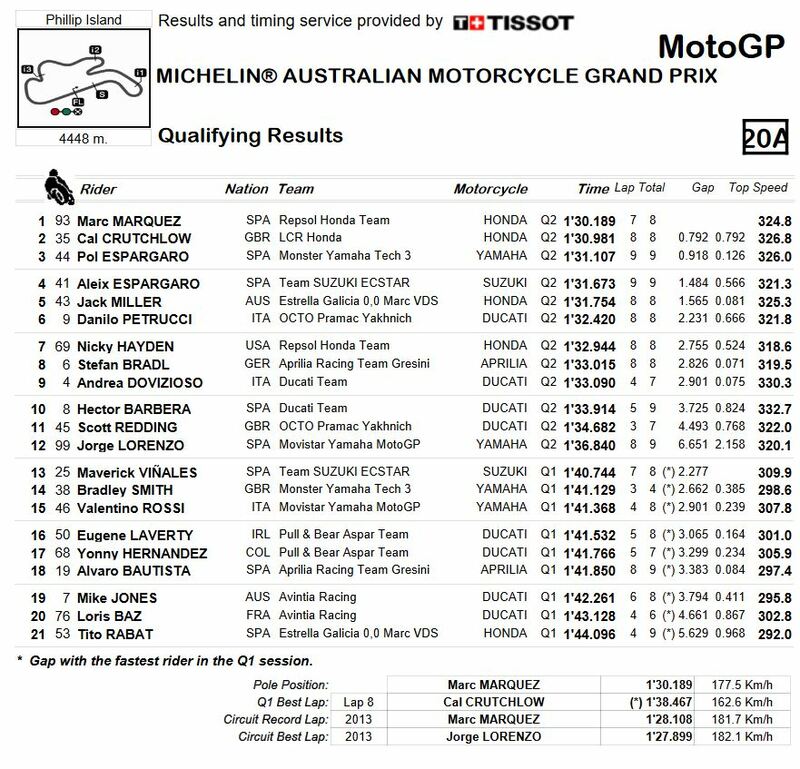 Marc Marquez (Repsol Honda Team) has taken pole position at Phillip Island Grand Prix Circuit, as the new reigning World Champion chose the perfect moment to head out in the changeable conditions on full slick tyres. 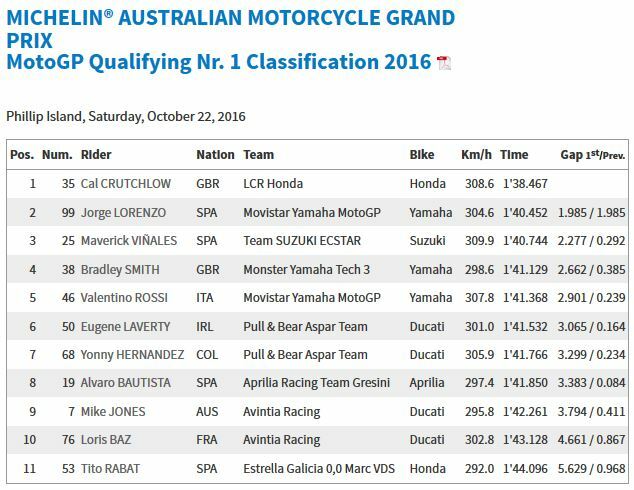 Cal Crutchlow (LCR Honda) starts from P2 after graduating from Q1, with Pol Espargaro (Monster Yamaha Tech 3) completing the front row. 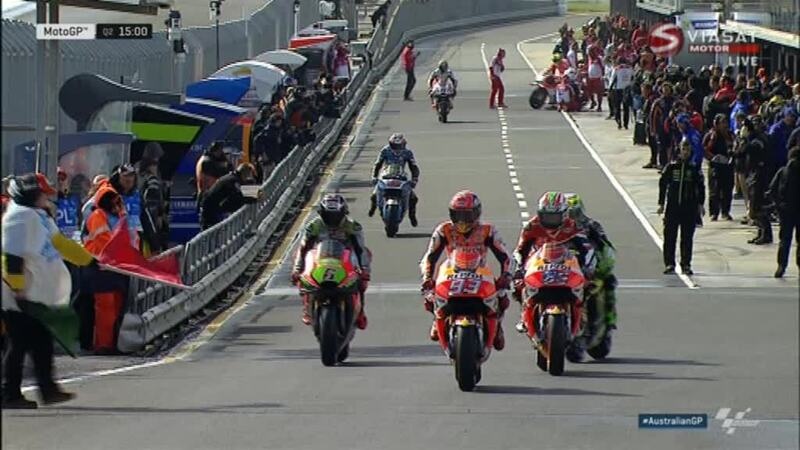 With Q1 seeing some incredibly high profile casualties, it was Cal Crutchlow and Jorge Lorenzo (Movistar Yamaha MotoGP) who moved through to fight for the front, leaving Maverick Viñales (Team Suzuki Ecstar) and Valentino Rossi (Movistar Yamaha MotoGP) behind – with Rossi in P15 on the grid in his worst qualifying since 2011. 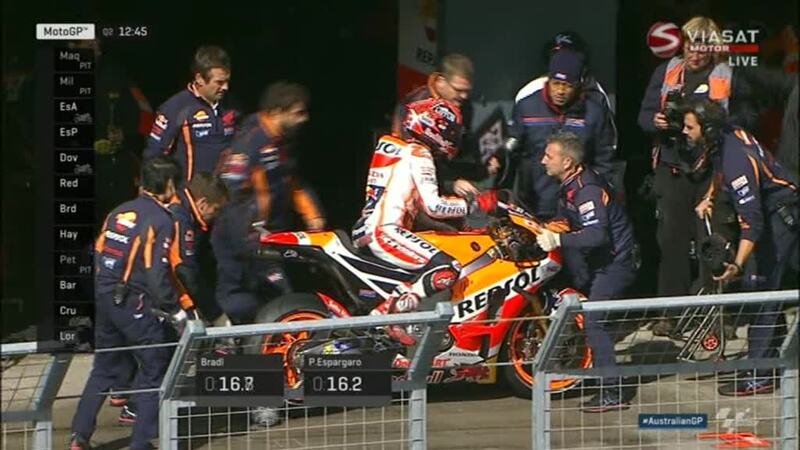 The track was drying in Q1, and drier by the start of Q2. 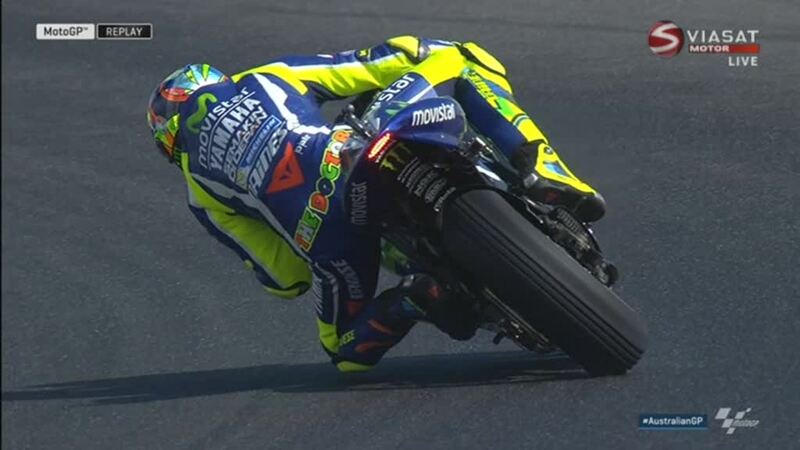 With rain forecast to hit half way through the second qualifying session however, the pressure was on to do a good lap – and choose the right tyre. 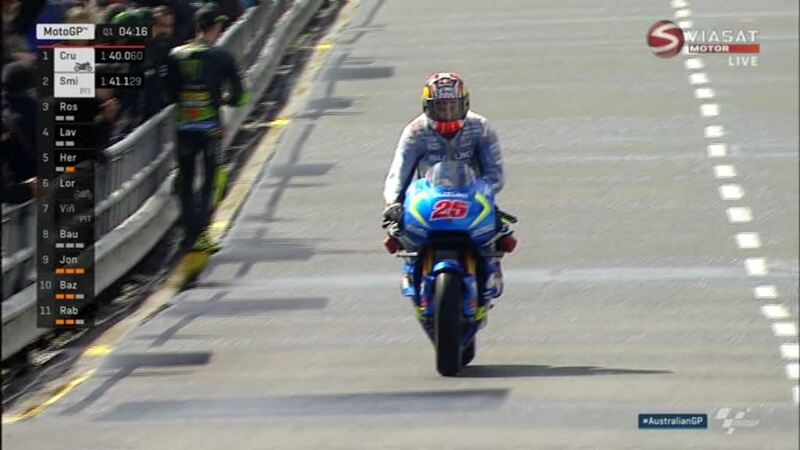 With some heading out on intermediates, Marquez, Miller and Petrucci then came back in quickly to swutch to slicks – with Marquez untouchable from that point on, and 1.5 seconds clear a few minutes later until the grid began to reel him closer. 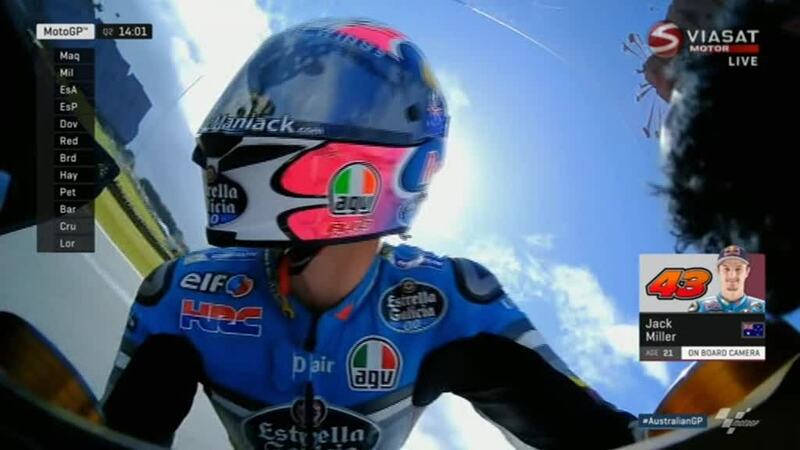 Aleix Espargaro (Team Suzuki Ecstar) shone in the session to challenge for the front row – just beaten over the line by his brother, Pol – and will start fourth, ahead of Aussie Jack Miller (Estrella Galicia 0,0 Marc VDS) at his home race, who completed the top five in his best ever qualifying result. 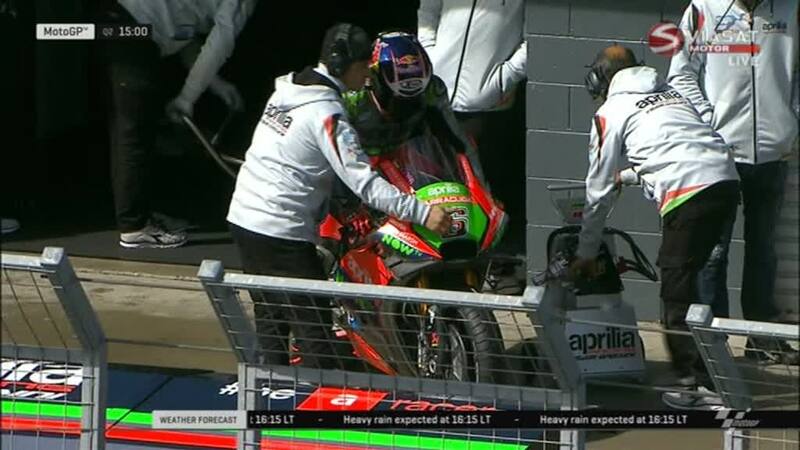 Locking out Row 2 is Octo Pramac Yakhnich rider Danilo Petrucci. 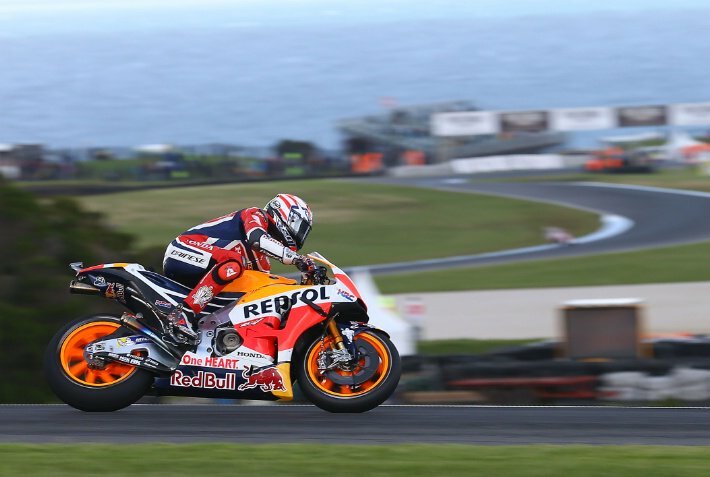 Nicky Hayden, riding in place of injured Dani Pedrosa at Repsol Honda, took an impressive P7 on his return to MotoGP™, ahead of Aprilia Racing Team Gresini rider Stefan Bradl – who is also set to become Hayden’s teammate in 2017 at Honda World Superbike Team. 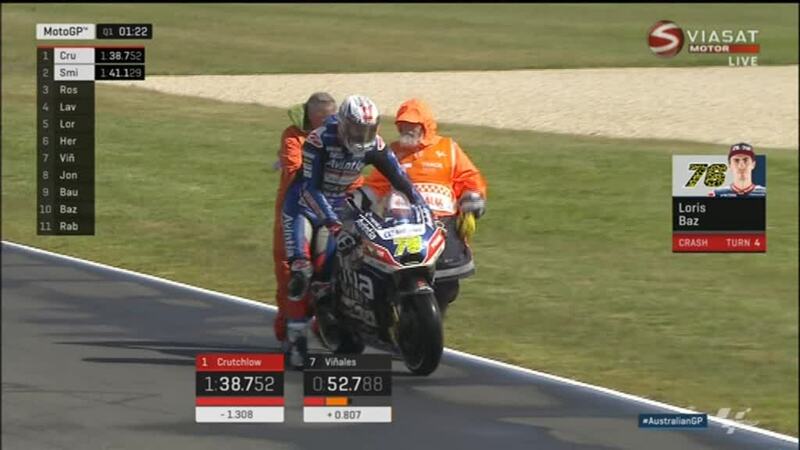 Andrea Dovizioso (Ducati Team) is ninth to complete the third row, finding going a little tougher as the track dried. 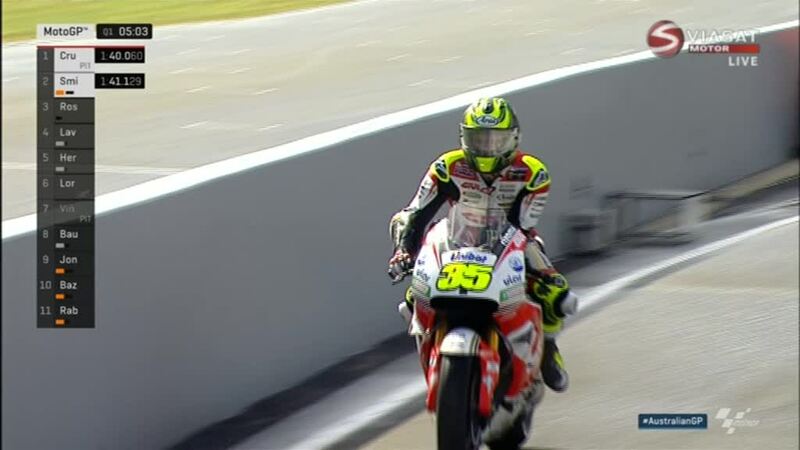 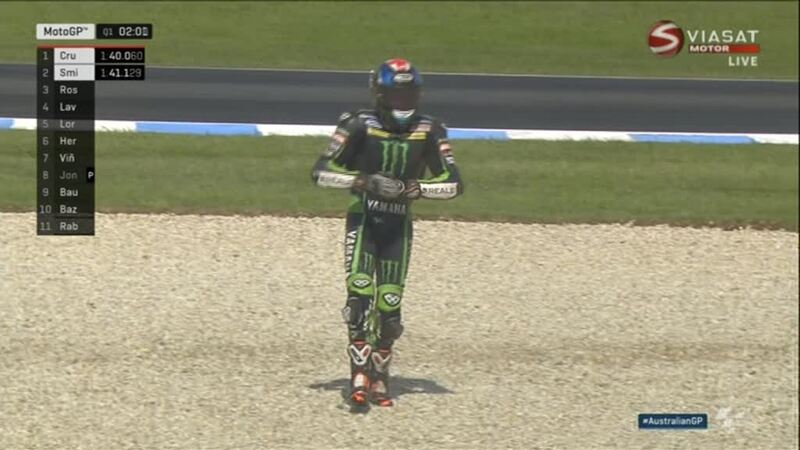 His teammate, Hector Barbera – standing in for injured Andrea Iannone – completed the top ten. 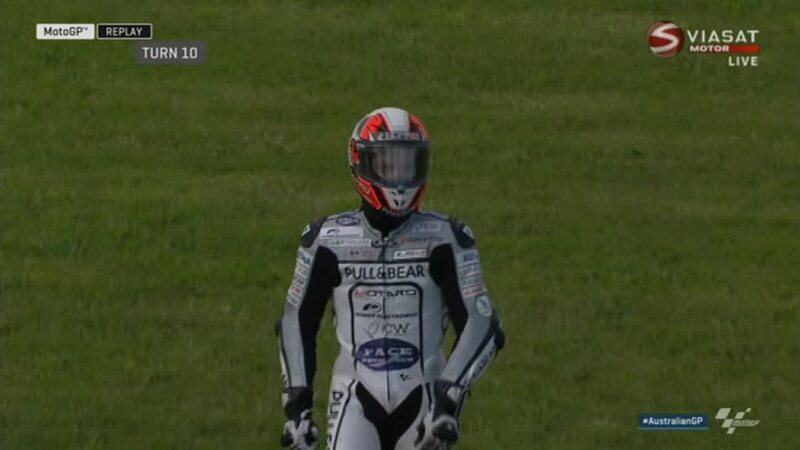 Scott Redding (Octo Pramac Yakhnich) will start from eleventh, ahead of 5-time World Champion Jorge Lorenzo (Movistar Yamaha MotoGP), who struggled in Q2 after having graduated from Q1. 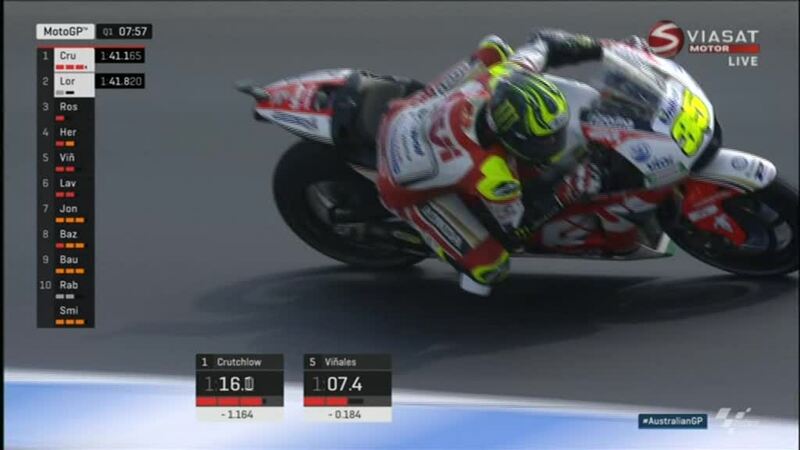 Cal Crutchlow (LCR Honda) had unmatchable pace in the tricky, drying conditions in Q1 at Phillip Island Grand Prix Circuit, topping the session and chipping away at his own best time to keep the top spot until the end. 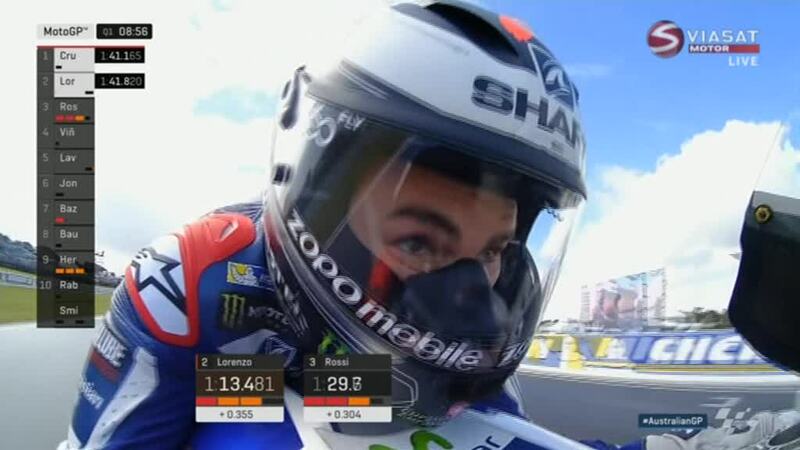 Jorge Lorenzo (Movistar Yamaha MotoGP) was the other graduate, as the 3-time MotoGP™ World Champion fought back from having a tough weekend to show incredible progress and go through with Crutchlow – beating Team Suzuki Ecstar’s Maverick Viñales to the honour. 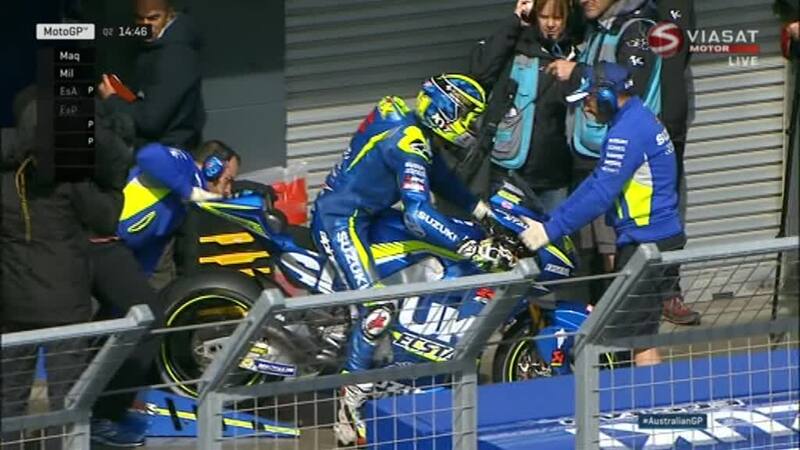 Viñales will therefore start P13 as the first of those whose grid positions are decided. 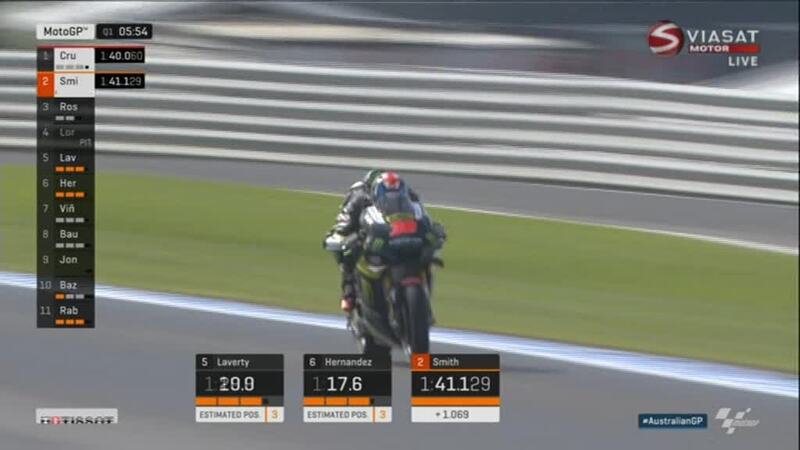 Bradley Smith (Monster Yamaha Tech 3) was holding onto P2 until a crash saw him out of the session but the Brit, returning from injury, still took P4 in the session and will start P14 – ahead of Valentino Rossi (Movistar Yamaha MotoGP), who had his worst qualifying session since 2011 and will line up P15. 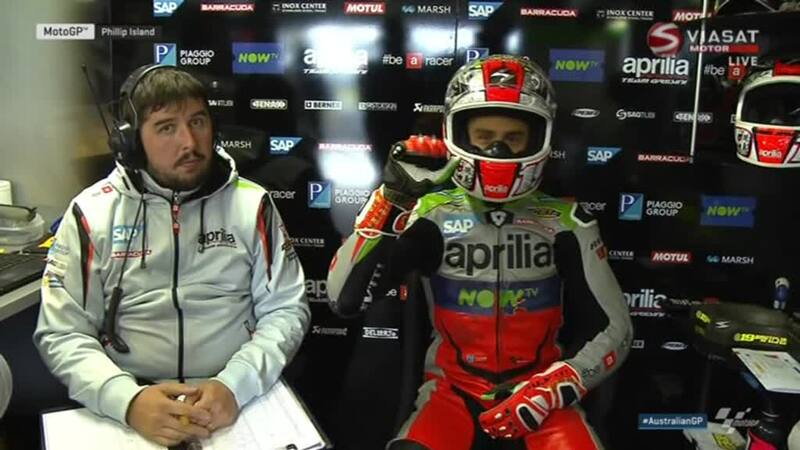 Eugene Laverty and Yonny Hernandez (Pull&Bear Aspar Team) will start 16th and 17th, with the grid completed by Alvaro Bautista (Aprilia Racing Team Gresini), Mike Jones (Avintia Racing), Loris Baz (Avintia Racing) and Tito Rabat (Estrella Galicia 0,0 Marc VDS).